The main aim of the HydroRad European project was to develop an innovative dual-polarization X-band mini-radar system and software support tools like rainfall estimation, nowcasting, precipitation classification and integration with hydrological and meteorological models for the use in weather and flood applications. These mini-radars are low cost, easy to deploy and, thus, ideal for the setup of radar networks to cover areas with complex terrain. In order to test the system an experimental campaign took place during autumn 2011 in Moldova. A network of three mini-radars was setup and tested against an advanced mobile polarimetric radar (XPol) in the center of the network and in-situ rain measurements from a video disdrometer and raingauges. 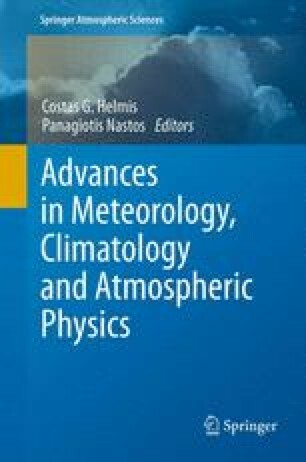 Original polarimetric algorithms for attenuation correction and rainfall estimation were applied and their results were compared to the reference in-situ data for moderate widespread and intense convective rain events. The results show that mini-radars can produce high quality and accurate rain fields in difficult to cover complex terrain areas. This work is part of the HYDRORAD project (Research for SMEs category–Grand agreement number FP7-SME-2008-1-232156) funded by EC 7th Framework Program.